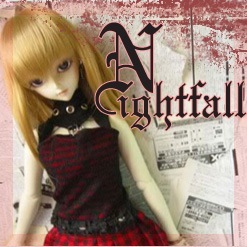 Punk and casual doll fashions by Hong Kong doll fashion designer ‘Nightfall-walker’. Read about her, and check out her fashions and some of the dolls from her collection. Article can be seen HERE. Angell Studio has posted the photos for the New Year Andrea and Cinderella set. The dolls are currently listed on the site as a pair. The New Year couple are being sold at a lower price than the other Andrea and Cinderella doll sets. The price listed includes the basic dolls. Options include; wigs, eyes, outfits, dshoes, face-ups, seam sanding, and ear piercing. Contemporary Artist Dolls (CA Dolls) is carrying a special line of fashions by Bergen Fields. The dresses are one-offs, and the selection currently includes some autumn colors and Halloween costumes. The clothing is all designed for SD size dolls. In addition, special orders can be requested. The in-stock items can be seen HERE. At AjumaPamaUSA and AjumaPamaEU, the new pre-order period runs through July 31st, 9 AM EST for SD/SD13 Boys/Girls and MSD/U-Noa/MF. Free gifts will be added for spending levels $70(MSD/U-Noa Tennis Shoes), $120(SD/SD13 Girl MaryJanes ), and $250(SD/SD13 Boy/Girl Boots). Quantities are very limited on the clothing, and items may run out before the order period ends. Felix Brownie shipments are arriving several times a week. Felix Doll is running approximately 8 days longer than the original 60 days delivery window. The retailers are shipping the orders out as quickly as possible. This simple dress is made with a handkerchief and bits of lace. 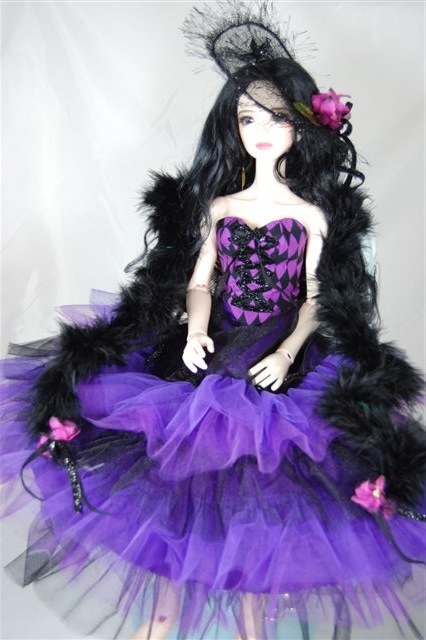 The dress is designed to fit Yo-SD, Creedy, BB, and similar-sized dolls. Instructions for the dress are HERE. The Total number of sets of each Black Vampire Bride and White Vampire Bride – 40 of each total. 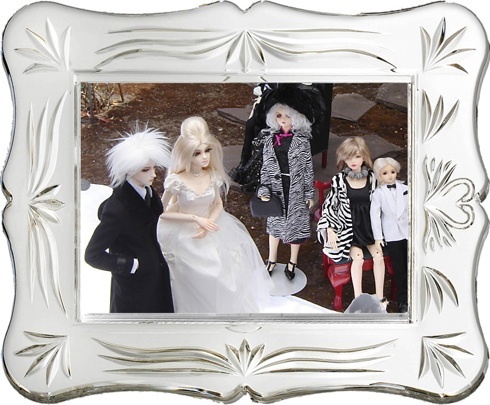 Venue to be sold – only at GoGaDoll in June and Dollism in July. Sets will come complete with Dollheart outfit. Price will be at a slight discount from normal retail for the sets. More Pictures of the dolls will be available soon. The Tea Party theme has been announced and will continue the wedding theme of the costume contest. Dolls are encouraged to dress for the event. 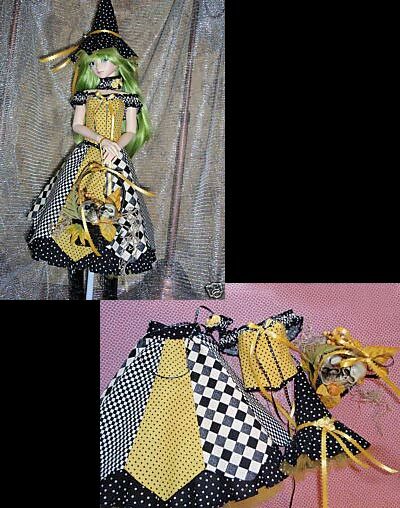 A one-off Jise, a Dollheart/JollyPlus project with outfit by Farthingale, is being auctioned on eBay. The doll has shoes and wig from Dollheart. The auction can be seen HERE. Check out the rest of Today’s News HERE.